Founded in 1939, this club is both a popular destination for pleasure cruises and for competitive regatta racing. Founded in 1939, this club is both a popular destination for pleasure cruises and for competitive regatta racing. 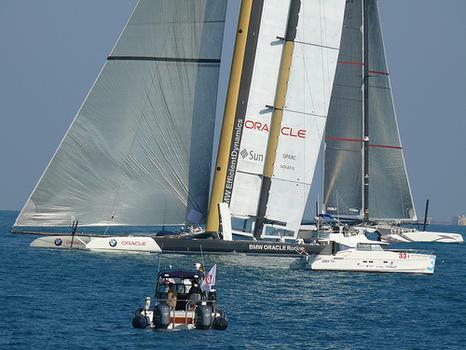 It's plainer than its neighbor the SFYC, however it got a major boost of late when Larry Ellison and the Oracle guys signed up and the club became the challenge club of record for the America's Cup.